Oral health issues are common among older adults. These issues include tooth loss, gum disease, tooth decay, and dry mouth. These conditions can also affect an older adult’s well-being because they may make it harder to eat, swallow, speak, get adequate nutrition, and even smile. Oral health issues like tooth loss and gum disease are also linked to increased risks of frailty. Frailty is the medical term for becoming more vulnerable to declining health or the inability to perform the activities of daily living. Frailty is a major healthcare challenge for older adults and caregivers. Someone who is frail can be weak, have less endurance, and be less able to function well. Frailty increases the risk for falls, disability, and even death. Over a three-year period, researchers from the United Kingdom examined the relationship between poor oral health and older adults’ risks for becoming frail. 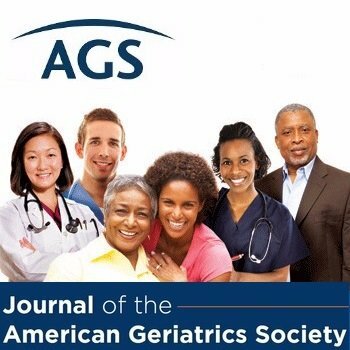 They published their findings in the Journal of the American Geriatrics Society. The researchers studied information from the British Regional Heart Study. This study included 7,735 British men. They were first examined in 1978 to 1980 when they were 40- to 59-years-old. In 2010 to 2012, researchers invited 1,722 surviving participants to be re-examined. During that time period, the participants were 71- to 92-years-old. Participants were given physical exams, which included height, weight, and waist measurements. They also took timed walking tests and had their grip strength measured. They answered questions about their medical history and lifestyle. They also answered a questionnaire asking about medical, social, and health-related information. The exam included a dental exam. Dental health professionals counted the participants’ natural teeth and measured the health of their gums. Participants answered questions about their dental health, including if they had dry mouth. Researchers also noted the participants’ frailty status. Participants were considered frail if they had at least three of these issues: exhaustion, weak grip strength, slow walking speed, weight loss, or low levels of physical activity. The researchers also noted that complete tooth loss, dry mouth, and additional oral health concerns were especially linked to developing frailty. The researchers concluded that these findings highlight the importance of oral health for older adults, suggesting that poor oral health contributes to frailty. This summary is from “Influence of poor oral health on physical frailty: a population-based cohort study of older British men.” It appears online ahead of print in the Journal of the American Geriatrics Society. The study authors are Sheena E. Ramsay, PhD; Efstathios Papachristou, PhD; Richard G. Watt, PhD; Georgios Tsakos, PhD; Lucy T. Lennon, MSc; A. Olia Papacosta, MSc; Paula Moynihan, PhD; Avan A. Sayer,PhD; Peter H. Whincup, PhD; and S. Goya Wannamethee, PhD. This entry was posted in JAGS Research Summaries and tagged dental health, frailty, oral health by HIA Guest Blog. Bookmark the permalink.